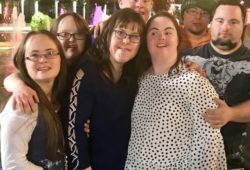 Helping educators who are teaching students with Down syndrome and their peers. Fully including every student will make Canada a better place for all children to learn. Teaching students with Down syndrome or any developmental disability is an exciting opportunity for you to challenge yourself and see amazing outcomes from your entire class of students. You will find that fully including all children in your classroom is even more rewarding than you may anticipate. Attitude is the most critical factor related to the success of any student, especially a student with Down syndrome. If you think a student will succeed, they’ll succeed. When a student is treated like a valued learner, they’ll learn. This approach has proven to be critical to young learners’ achievements. Inclusion means all students learn together, in the same class, for the majority of the day. Students with Down syndrome learn and grow best when they are included in regular educational procedures, just as any kids. Inclusive teaching allows all students to learn from each other and gain an appreciation for the uniqueness of all people. 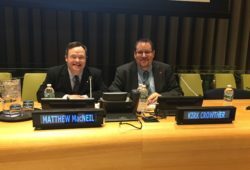 The Canadian Down Syndrome Society has several Down syndrome resources for teachers and schools to enable them to provide the best possible education for children with Down syndrome and their peers. We have compiled several publications to assist teachers and other educators in offering a fully inclusive classroom as well as information and guidance on topics that students with disabilities often don’t receive an education in. We encourage you to look at all the resources we have available in this section. We hope you share the ideal that all students, including those with Down syndrome, have a place and purpose in our schools and communities. Recognize that fully including every student will make Canada a better place for all of our children. The Canadian Down Syndrome Society’s Educator Package assists teachers and parents working with children with Down syndrome in providing optimal education through a fully inclusive classroom. This package is available in three formats: printed booklet and PDF in French and English. Explore any questions about relationships, sexual health, safety, and growing up that people with Down syndrome and other developmental disabilities may have. The book was developed in consultation with various organizations and groups in the fields of sexual health and disabilities. If you’re interested in purchasing a copy of this publication we recommend you first download the Table of Contents to gauge subject matter. The Just Like You-Down Syndrome video is a great resource for teaching your class about Down syndrome. You can find that video here.